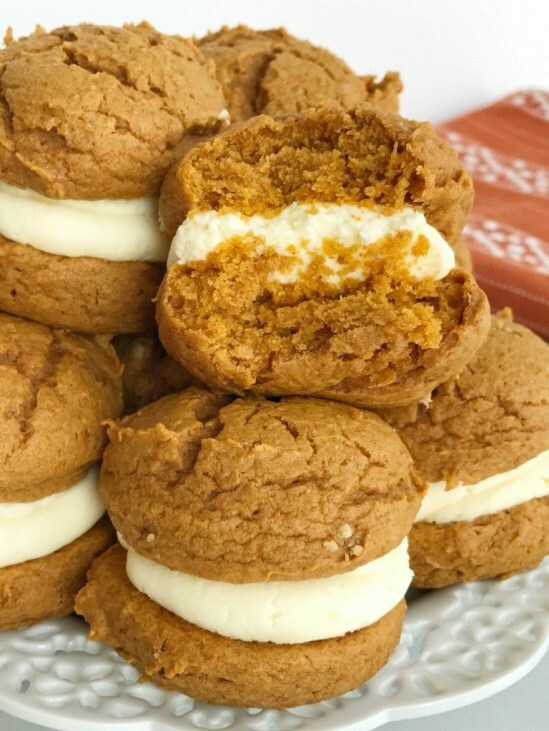 Recipes that caught our eye include Meatball Stroganoff, Bourbon Pear Pie and Pumpkin Cream Cheese Whoopie Pies. 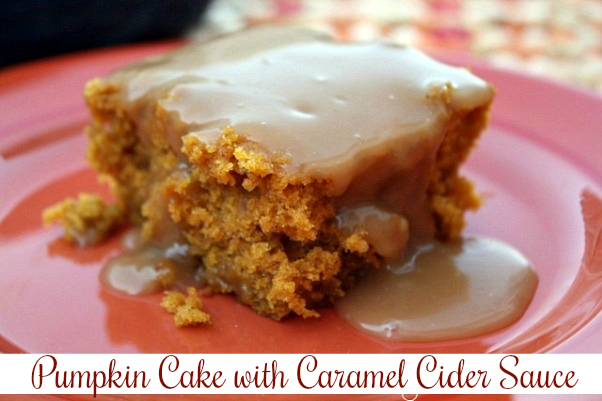 This weeks Featured Hostess is ❤ me and I'm sharing a recipe for a Pumpkin Cake with Caramel Cider Sauce. 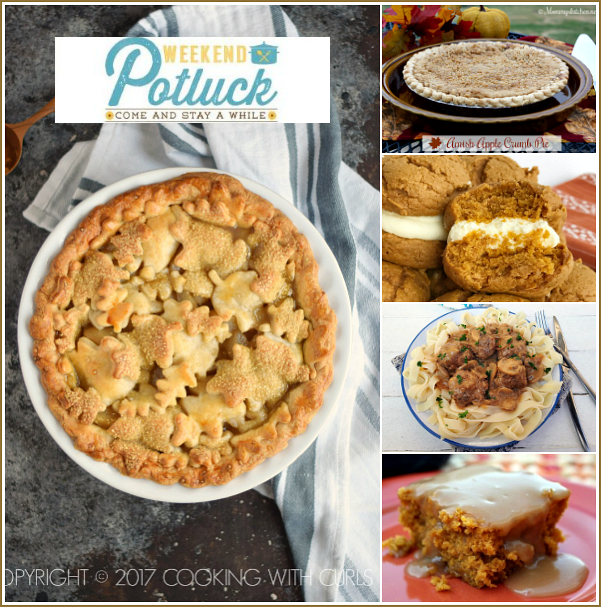 Just a reminder, we also have several more potluck recipes linked at the end of this post, so I hope you'll check them out. 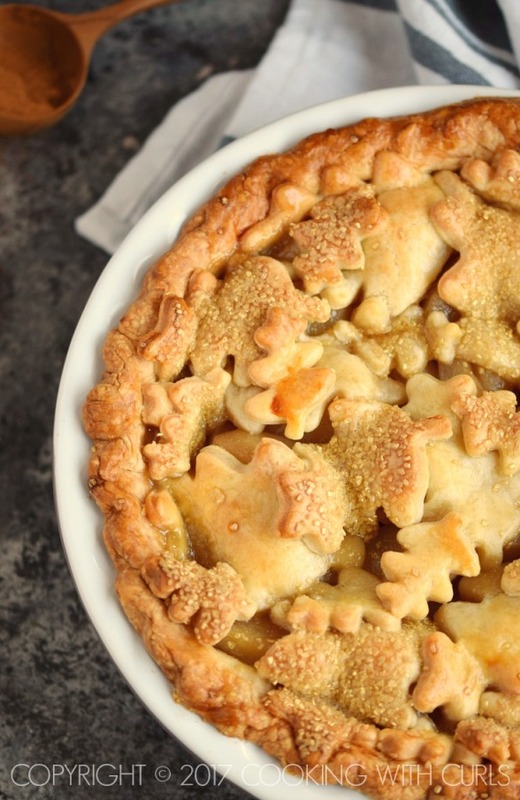 When you scroll down to the bottom of this post, you'll see thumbnail photos of recipes shared from various food bloggers. 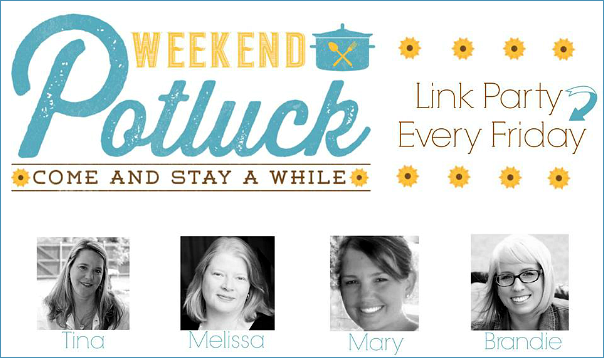 The recipe with the most "views" this week will be our top featured recipe for next week, so make sure to show some love to all your favorites. I hope everyone has a wonderful weekend. To view the featured recipes just click the recipe title under each of the photos. Thanks for hosting! Everything looks delicious!! Thank you for the feature, Tina ! Have a wonderful weekend ! 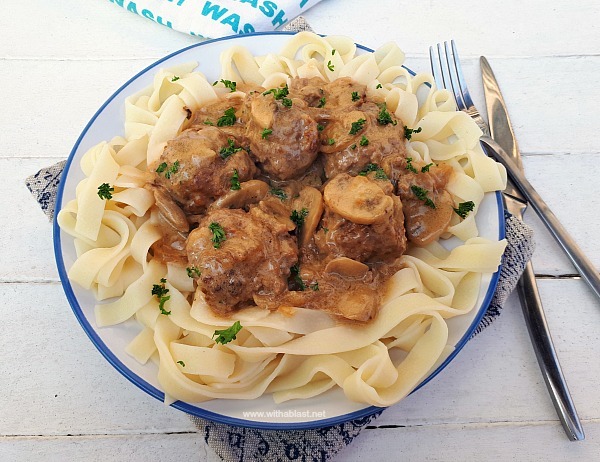 You're welcome and I can't wait to make the Meatball Stroganoff. I stopped by your Thursday Party today and linked up. 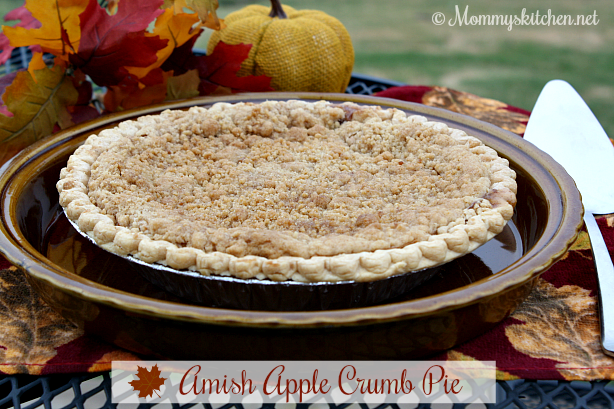 I also visited and found so many new blogs and fall craft ideas.